In 2004, then U.S. President George W. Bush tightened the U.S. trade embargo against Cuba, including stricter limits on how often Cuban-Americans could visit family on the island. 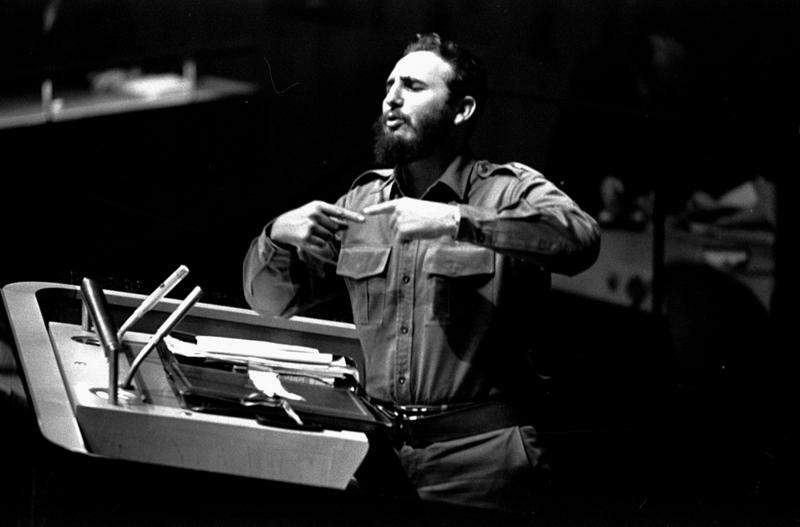 The aim was to pressure the communist regime in Havana to adopt democratic reforms. Hillary Clinton Doubles Down In Miami: "Cuba Embargo Needs To Go Once And For All"
As recently as just a few years ago, this would have been unthinkable: A U.S. presidential candidate coming to Miami and calling for an end to the U.S trade embargo against Cuba. But Hillary Clinton did just that on Friday. For five decades, the official U.S. policy on Cuba was one of silence. But the real U.S. relationship with Havana involved secret negotiations that started with President Kennedy in 1963, even after his embargo against the island nation, say the authors of the new book Back Channel to Cuba. In fact, nearly every U.S. administration for the past 50 years has engaged in some sort of dialogue with the Cuban government, they say.